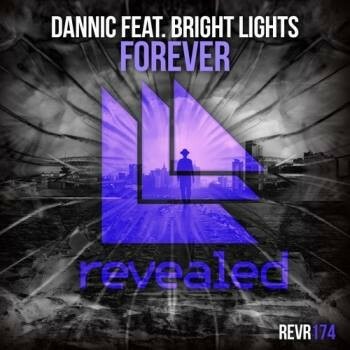 Revealed regular Dannic makes his return to the label with ‘Forever’, joined once again by the Grammy-nominated Bright Lights for the follow up to their 2014 track ‘Dear Life’. Fresh off the back of his recent Revealed release ‘Fonk’, Dannic wastes no time releasing again on the label with this big room track. While the massive synth riffs and pounding rhythms make for a decent tune in their own right, what makes ‘Forever’ different is the vocal performance of Bright Lights, which rises above the melodies, carrying the track into a hands-in-the-air drop. It’s a decent testament to the skill of both Dannic and Bright Lights, combining their talents to create a track that has arrived at just the right time. The track may do well at festivals and clubs across the globe. Check it out below, it’s out now.